How much revenue do casino pokies generate? 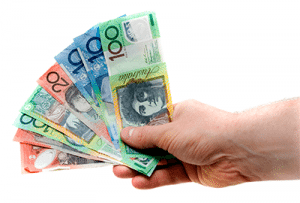 Casino pokies are the single most lucrative part of a casino. Gaming machines are expensive to purchase and maintain, but they pull in a huge percentage of the gaming action, compared to other attractions at a casino. 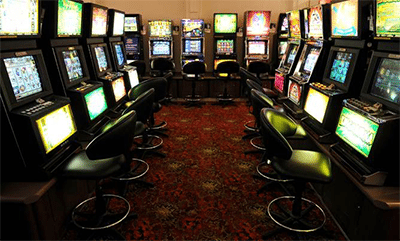 While many punters prefer the social aspect of poker and craps, it’s the pokies which collect more money. While roulette attracts casual players and baccarat is the king in Macau, it’s the poker machines which rule in Australia. Published tax figures for the Australian state government show the poker machines pull in over 60% of the casino industry’s revenues. Australians love to gamble in clubs and local pubs. They also enjoy the big gaming venues like the Crown Melbourne, where hundreds of machine line the floor of the casino. These are the venues the social scientists and anti-gambling groups say present the greatest danger to problems gamblers. Unlike clubs, land-based casinos offer players who bet a high volume all sorts of comps, cash-back, and other incentives. Even worse, they offer certain players lines of credit. Instead of losing this month’s rent payment, a person can lose several months’ rent payment and go so far in debt that they resort to misdeeds to recoup the money–a scenario which has played out in dozens of cases in the past 10 years. That isn’t to say Australian pokies are a bigger part of the industry than they are elsewhere. In fact, some parts of the world focus even more heavily on poker machines. In Las Vegas and elsewhere in the United States, slot machines constitute about 70% of the average U.S. casino’s income. The figures in the European nations are similar to what you see in Australia, New Zealand, and the United States. Almost anywhere you go, you’ll find gaming machines are the flashiest and biggest part of a casino floor. Few people can match Aussies for their pokies enthusiasm, though. Pokies revenues exceed AUD $10 billion per year in Australia. That number appears to be declining, due to concerns over problem gambling and new laws seeking to limit the damage of gambling addiction. In 2011, the gross revenues were $11.2. In 2012, that number declined by one billion dollars to $10.2 billion. These losses came from punting on about 200,000 gaming machines spread throughout Australia. This equals the 7th higher national number of pokies in the world. Australian gaming machines lag behind in numbers only to Japan’s (pachinko), the United States (slot machines), Italy, the United Kingdom (fruit machines), Spain, and Germany. People might wonder how much of a science there is to machine design from one country to the next. When you start to look at how much thought goes into game machine development, a lot goes into how much is the optimal amount of hit frequency is going to keep people playing. Designers try to get the perfect combination of hit frequency with prize pool. Due to cultural factors, the formula is different in various parts of the globe. To understand how the pokies generate so much revenue, you may want to read our article about pokies addiction. “Paytable and Reel Strips” sheets or “PARS” provide information on the payouts on a particular machine. It is rare to find reliable PARS information, because most machines have 8 to 10 different PARS which can be programmed. Some years ago, notable gambling expert Michael Shackleford (“The Wizard of Odds”) published a PARS sheet for an obsolete Red White and Blue machine (publishing it after a reader of his provided similar information). Once this was studied, one could quickly get an idea of the psychology of game design. Payouts on the machine ranged from 1 to 1 all the way to 2400 to 1, a range which included thirteen different payouts. Unlike what people might think, not all high payouts come less frequently. A 2:1 payout hit only once every 600 spins, while an 80:1 payout happened every 219 spins. 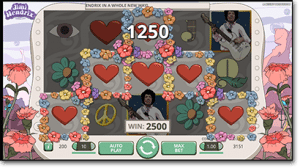 The reason behind this was to create a sense of thrill for the player, by giving them a mid-size jackpot won every so often. At the same time, winning 80 coins isn’t enough to cause them to walk away from the gaming machine. A payout of 150 to 1 only happens once every 6241 spins, because it is thought this might be high enough to end the gaming session. Game designers want to convince the punter to play longer, so they are given mid-range jackpots often enough to encourage a longer session. Thus, players continue until they either get bored or spend their bankroll. Why are pokies so profitable? Readers might wonder why poker machines are so much more profitable than other games in the casino. The gaming machine have a higher house edge, but to understand why, it’s instructive to dissect the betting action on other games. In craps, the pass and come bets provide a respectable house edge of 1.35% to 1.41%. The hard way bets, hi/lo bets, 2-bets, and 12-bets have a house edge in the 11% to 13% range, percentages which are considered awful. The difference in craps and pokies is the gambler is given a chance to make the low percentage, high payout bet, but also given the choice of avoiding these bets in favour of making high percentage, low payout bets. In poker machines, players are not given the opportunity to avoid the low percentage, high payout bets like in other games. All the percentages are lumped together, so discerning gamblers cannot avoid the worst propositions. Betting dynamics are no different on the Internet. While regulation is different from one country to the next, as soon as online service became available, people started looking for ways to bet with one another over their computers. Online casinos are now part of every day life, with real money games easily accessible directly over your Web browser. Due to the lower operational costs compared to a land based casino, online pokies offer better RTPs (return to players) along with casino bonuses and credits that can make online play more profitable for players. According to one report published by Casino City Press, a survey was done some years ago of the gaming habits of people in 180 different countries worldwide. Betting on the outcome of events appears to have been a part of human behaviour for as long as people have had the concept of property. Evidence shows that gambling took place in Ancient Egypt, while it’s certain Ancient Greece and Rome had betting of some sort. Despite attempts by governments to ban the practice, people in even the least developed parts of the world like to gamble, but it’s in the most modern parts of the world were gambling takes on machine efficiency of the poker machines. Try online pokies at Royal Vegas Casino and claim up to $1200 in new player welcome bonuses.